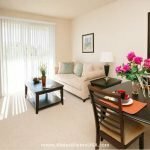 Almost Home offers a wide variety of Pasadena, CA corporate housing options for every short or long term furnished apartment need you may have. Contact us today to receive a temporary housing quote customized just for you in your desired area of the city. We wish to help familiarize potential newcomers to life in Pasadena and therefore provide the following informative summary of various aspects of this city. Take a few moments to acquire the knowledge of a long-time resident before you arrive. Those staying in corporate housing in Pasadena, CA for business reasons might appreciate some information about the city’s business environment. Pasadena's economy is dominated by education and research, healthcare and insurance, and consumer goods. Being a suburb of Los Angeles, Pasadena is a heavily visited city by tourists and business visitors who descend on the city because the hospitality industry is overwhelmed in downtown Los Angeles. Education and research institutions in the city of Pasadena include NASA's Jet Propulsion Laboratory, as well the California Institute of Technology. The technology focus of its academic institutions has an international attraction and the talent harvested from academic institutions from here and other areas of California are absorbed into industry here. Aside from highly technical training institutions, there are also educational categories like the Le Cordon Bleu Culinary Institute and Art Center of College Design. There are a large number of retail businesses catering to the local population here who have an above average earning capacity. From retail banks to consumer goods, there is a strong presence in terms of individual retail centers as well as malls and shopping centers. There is also a large sports following with the local Rose Bowl being the center of the annual parade. It is part of the tourism engine which also includes performing arts, museums, and art galleries. Knowing what clothing to bring with you to your Pasadena, CA furnished apartment is somewhat dependent on the local climate. Pasadena experiences a mild Mediterranean climate tempered by the Pacific Ocean, much like the rest of California, with sunny summers and comfortable winters. Spring averages temperatures between 67°F in March and 73° in May. Summers warm up to peak at 83°F in July. Fall temperatures average at 68° for highs in October. Lows of 50° are experienced in November. Winters are mild, stretching from December to January with the lowest reaching 40. So, be sure to dress right and then venture out of your Pasadena, CA corporate apartment to enjoy the wide variety of outdoor activities that this area offers. 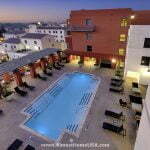 Being a temporary resident in Pasadena, CA corporate housing need not relegate you to feeling like a complete outsider. Acquaint yourself with Pasadena’s history by reading our brief historical summary provided below. The area's history of civilization can be traced back to the days when the land was occupied by the Hahamongna tribe. The Hahamongna were part of the native Tongva Tribe that was dominant in other parts of California as well. Their language was part of the Uto-Aztecan languages. The area was colonized by the Spanish and eventually passed to Mexico when they received their independence from Spain. This area was part of the original Rancho del Rincón de San Pascual and was called Indiana Country because it was purchased by a group from Indiana under the guidance of a medical doctor who believed that his patients would benefit from the climate that seemed suitable to those suffering from asthma. They raised the necessary funds and moved from Indiana to this strip of land which they had purchased from Benjamin Wilson. The closest post office at the time was in Los Angeles, and Indiana Colony was not incorporated or an official city. Eventually they decided to name the place and organize a township. One of the things that they wanted to do was name the area, and for this they tried to name it with a Chippewa name, even though the Chippewa had nothing to do with Southern California. All the names they had suggested for translation ended with the sound of “pasadena.” In Chippewa, pasadena meant “of-the-valley.” The name was voted, accepted, and the municipality was incorporated in March of 1886. Cloud & Co Eatery in N Allen Ave.: Claud & Co is a neighborhood eatery serving typical local American and International favorites. They change the menu frequently so there is never a tired repeat of the same old food. Some weeks it’s Spanish, others it’s, Cajun; then it changes again, repeatedly. The food is slightly pricey, ranging between $30 and $50 for dinner. They open at 5pm daily and close at 10. Mediterranean Cafe on Shoppers Ln. : This Cafe serves authentic Middle Eastern and Greek dishes that are priced affordably below ten bucks for any meal. They open at 11 am daily and close at 7pm. Try the Chicken Shawerma, one of the popular items on the menu. They offer take-out and a private parking lot. They are better geared for lunch than dinner. Pencil on Harkness Ave: Pencil is a sandwich and juice bar where you can fill up on a number of healthy snacks and meals for under ten dollars. They open at 10 daily, except Sundays, and close at 4pm. They offer free WiFi for patrons and take out as well. Try the roast beef or the spicy chicken. Roma Market on N Lake Ave: Roma Market is a deli that has produce and a selection of cheese and imported meats directly from Sicily, so there is a old country feeling here, especially being served by Mr. Roma himself. The market is open daily between 8.30 am and 8.30 pm except on Sundays when they close at 5.30 pm. U Pick Cafe on N Lake Ave: Try out this Mediterranean restaurant that is flavored for the American palette. They serve authentic dishes like beef and chicken kabobs as well as local fare. They open at 11am and close at 9pm. Prices here are somewhat inexpensive; you can get a meal for under ten bucks. Stepping out of your Pasadena, CA temporary housing is bound to present you with numerous interesting activities. We have listed a few possible entertainment options that may appeal to you. Performing Arts: There is a rich culture of performing arts in this city. One place to enjoy culture is at the Ambassador Auditorium, designed by Herbert Armstrong, where the Pasadena Symphony headlines a number of concerts each year. It is also where the Pasadena Pops plays and occasionally hosts some stage performances. Museums: The Norton Simon Museum is a strong advocate of the visual arts and hosts numerous internationally acclaimed pieces ranging from European and South Asian paintings as well as various sculptures and a large collection of diverse tapestry. Architecture: There is a large collection of small craftsman homes built in the very early 20th century and still actively used till today. Most of these homes are very well preserved. It is part of the Bungalow Heaven and is a landmark within the city of Pasadena. There are numerous tours that give detailed accounts of each home, and some even allow tours inside the homes. Whatever your reason for visiting Pasadena, Almost Home Corporate Housing is your best choice to provide you with a furnished apartment in Pasadena, CA that is perfectly tailored to meet your unique housing needs. Call us today to receive a quote or fill out our simple housing request form at the top of this page.